1. Tintoretto: An Unexpected Light. Lightnings, Haloes, Embers and Other Glowing Lights. Rosella Mamoli Zorzi is Professor of American Literature, Emeritus, at the University of Venice Ca’ Foscari and President of the Venice Committee of the Società Dante Alighieri. She has published widely on American writers and Venice, American writers and Titian, Tintoretto, Tiepolo, in such essays as ‘Jacopo Tintoretto, John Ruskin e Henry James’ (1996),’Tiepolo, Henry James, and Edith Wharton’, in Metropolitan Museum Journal, 1998. She has edited several volumes of Henry James’s letters, among them Letters from the Palazzo Barbaro (1998), Beloved Boy. Letters to Hendrik C. Andersen, 1899–1915 (2004), Letters to Isabella Stewart Gardner (2009). She has co-curated several exhibitions and written in their catalogues, see Gondola Days. Isabella Stewart Gardner and the Palazzo Barbaro Circle (2004), Sargent’s Venice (2006), Two Lovers of Venice. Byron and Constance Fenimore Woolson (2014). Her more recent work is the book ‘Almost a Prophet’. Henry James on Tintoretto (2018). Katherine E. Manthorne is Professor of Art History, Graduate Center, City University of New York. She focuses on hemispheric dimensions of American art, from Tropical Renaissance. North American Artists Exploring Latin America, 1839–1879 (1989) to Traveler Artists: Landscapes of Latin America from the Patricia Phelps de Cisneros Collection (2015). Her research on American landscape art has resulted in The Landscapes of Louis Remy Mignot: A Southern Painter Abroad (1996); Luminist Horizons. 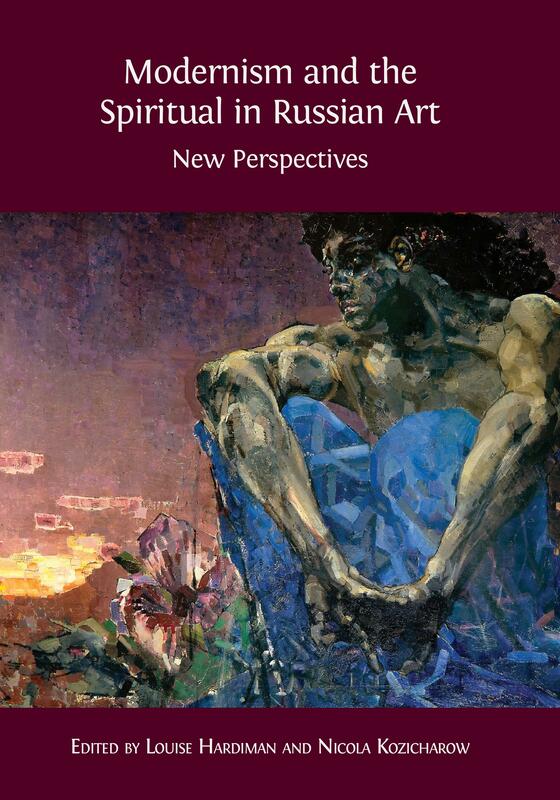 The Art and Collection of James A. Suydam (2006); and Eliza Greatorex & the Art Women in the Age of Promise (forthcoming). She is currently organizing exhibitions for the Newark Art Museum and Laguna Art Museum. Manthorne was formerly Director of the Research Center, Smithsonian American Art Museum. She received her Ph.D. from Columbia University. © 2019 Rosella Mamoli Zorzi and Katherine Manthorne. Copyright of individual chapters is maintained by the chapters’ authors. Cristina Acidini was born in Florence and is an art historian. She has served most of her life under the Ministero per i Beni e le Attività Culturali. She was Superintendent of the Opificio delle Pietre Dure; then, until 2014, of the Florence Polo Museale, including twenty-seven state art museums (Galleria dell’Accademia, Palazzo Pitti, the Uffizi etc.). She has organized and directed restorations, museum re-orderings, exhibitions in Italy and abroad, studies and research. She has written on Renaissance artists such as Botticelli, Michelangelo, Vasari, on the Medicis, and on villas and gardens in Florence. She has been awarded several international prizes. She is now President of the Accademia delle Arti del Disegno of Florence. 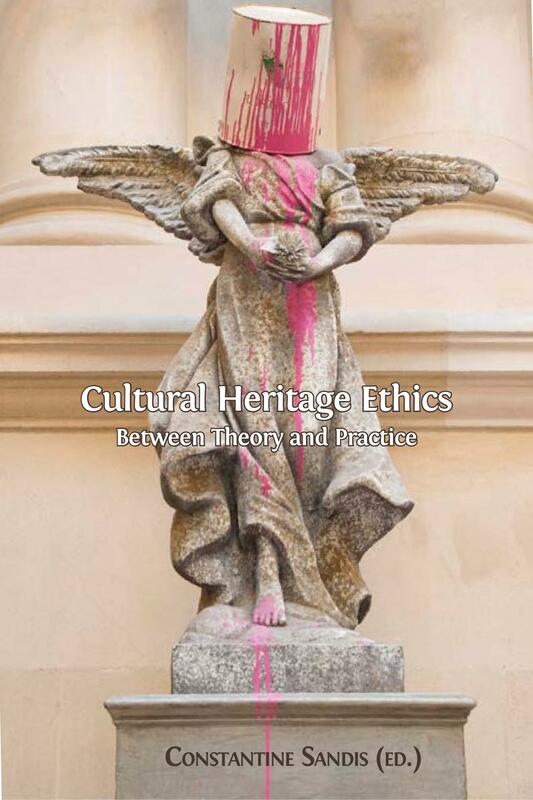 Adrienne Baxter Bell is Associate Professor of Art History at Marymount Manhattan College. Her publications include George Inness and the Visionary Landscape (2003), which accompanied an exhibition she curated for the National Academy of Design and San Diego Museum of Art, and George Inness: Writings and Reflections on Art and Philosophy (2007). Recent work includes chapters in The Cultured Canvas: New Perspectives on American Landscape Painting (2011) and Locating American Art: Finding Art’s Meaning in Museums, Colonial Period to the Present (2016). At the time of writing, her current book and exhibition project is Transnational Expatriates: Coleman, Vedder, and the Aesthetic Movement in Gilded Age Italy. Cristina Beltrami is an art historian specialising in the sculpture, painting and applied arts of the nineteenth and the first half of the twentieth century, with special reference to the exchanges between Italy and France. She obtained her Art History Ph.D. at the University of Venice Ca’ Foscari with a dissertation on the sculptural patrimony preserved in Uruguay (1998) and a second Ph.D. in Scienze dei Beni Culturali at Università degli Studi di Verona (2013), with a dissertation entitled: Una presenza in ombra. La scultura alla Biennale di Venezia (1895–1914). Maria Agnese Chiari Moretto Wiel has a Ph.D. in Art History (1989). Her research interests focus mainly on Venetian paintings and etchings of the sixteenth century and on the Venice Scuole; she has written about a hundred publications. From 1981 she has been teaching Venetian art history at the Venice branch of Wake Forest University (Winston Salem, N.C.) and History of Modern Art at the Venice I.S.S.R. ‘San Lorenzo Giustiniani’. She has taught History of Drawing, Etching, and Graphics at the Università Ca’ Foscari di Venezia (1999–2008) and has taught at Duke University and at the School of Humanities and Social Sciences of the Venice International University. She has been a member of the scientific board of the Marcianum Press. She is a member of the Ateneo Veneto and of the Cancelleria (Secondo procuratore di chiesa) of the Scuola Grande di San Rocco. Margherita Ciacci has taught at the Universities of Urbino and Florence. She now teaches Sociology at the Florence campus of New York University. Her recent studies and research are focused on Anglo-American culture and personalities, which has resulted in exhibitions and publications including I giardini delle regine: il mito di Firenze nell’arte pre-raffaellita e nella cultura americana fra ’800 e ’900 (2004) and Americani a Firenze (2012). Marina Coslovi received her Ph.D. in English and American Studies from Ca’ Foscari University Venice and is currently teaching at Nottingham University. She is interested in the relationship between writers and the visual arts, and has published articles on the making of the Whitney Museum in New York and on Henry James and Vittore Carpaccio. Paula Deitz is editor of The Hudson Review, a magazine of literature and the arts published in New York City. As a cultural critic, she writes about art, architecture and landscape design for newspapers and magazines in the U.S. and abroad. Her book, Of Gardens: Selected Essays (2016), was published by the University of Pennsylvania Press. Helen Dorey is Deputy Director of Sir John Soane’s Museum. For thirty years she has worked on the authentic restoration of the Museum, culminating with Soane’s private apartments (opened in 2015). Her publications include John Soane and J.M.W. Turner (2007) and catalogues of Soane’s furniture and stained glass. She has curated exhibitions at the Soane, Tate Britain and the Royal Academy. Since September 2015 she has been Acting Director of the Soane and she is also Chairman of the Scholarship Committee of the Attingham Trust, a Trustee of the Moggerhanger House Preservation Trust and a Fellow of the Society of Antiquaries. 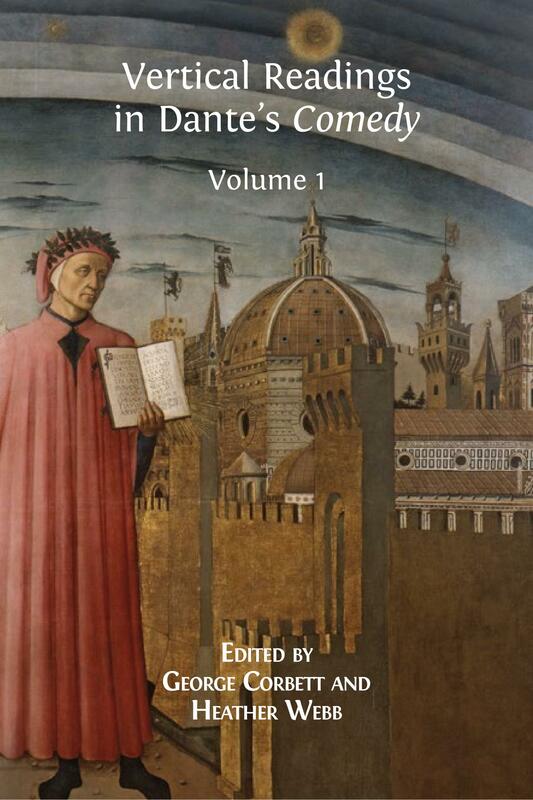 Antonio Foscari, professor of History of Architecture at the School of Architecture IUAV, Venice, is the author of many publications on Renaissance architecture. He has directed important projects and restorations, such as the project of the theatre for Leonardo Sciascia at Racalmuto (Sicily) and the restoration of Palazzo Grassi in Venice for FIAT. He is a member of the Accademia Olimpica and has been a member of the Louvre Board for six years. Pere Gifra-Adroher is a Lecturer of English at the Department of Humanities in Universitat Pompeu Fabra (Barcelona). He is the author of Between History and Romance: Travel Writing on Spain in the Early Nineteenth-Century United States (2000) and co-editor of a volume on the representation of otherness entitled Interrogating Gazes (2013). Most of his research has focused on travel writing and cultural exchanges between Spain and the US during the nineteenth century. He is currently working on an anthology of nineteenth-century American women travellers in Spain. Lee Glazer is curator of American art at the Smithsonian’s Freer Gallery of Art and Arthur M. Sackler Gallery. She has curated numerous exhibitions, including, most recently, Peacock Room REMIX: Darren Waterston’s Filthy Lucre. Glazer is the author of A Perfect Harmony: The American Collection in the Smithsonian’s Freer Gallery of Art (2003) and co-editor of East West Interchanges in American Art: A Long and Tumultuous Relationship (2012) and Palaces of Art: Whistler and the Art Worlds of Aestheticism (2013). Her current research focuses on James McNeill Whistler’s watercolors, to be featured in an exhibition at the Freer in 2018. Dorsey Kleitz is a Professor of English at Tokyo Woman’s Christian University. His research and publications focus on links between nineteenth- and twentieth-century American literature and Asia —especially Japan. He recently co-edited with David Ewick ‘Lacking the gasometer penny’: Michio Ito¯’s Reminiscences of Ezra Pound, W. B. Yeats, and Other Matters (2016). Page Knox Ph.D. is an adjunct professor in the Art History Department of Columbia University, where she received her doctorate in 2012. Her dissertation explores the significant expansion of illustration in print media during the 1870s, using Scribner’s Monthly as a lens to examine how the medium changed the general aesthetic of American art in the late nineteenth century. She is also a Contractual Lecturer for the Education Department at the Metropolitan Museum of Art, where she gives public gallery talks, teaches courses for membership, and lectures on special exhibitions as well as the permanent collection. Burt Kummerow began his history career studying Rome and Greece, especially Pompeii, before going on to examine early America. He helped to found the Living History Movement in the USA and has been a writer, popular speaker, public television producer, museum director and rock musician. As the President of Historyworks Inc. (Maryland), he is a multi-faceted public historian who uses a wide range of skills and experience to bring history to the general public. He is the author of War for Empire, Heartland, Pennsylvania’s Forbes Trail, and In Full Glory Reflected, Discovering the War of 1812 in the Chesapeake. Presently, he is preparing a book for the 200th anniversary of the Baltimore Gas and Electric Company, born in the Peale Museum in 1816. Kummerow has retired as President and CEO and is now the Historian-in-Residence at the Maryland Historical Society. Kathleen Lawrence is Associate Professor at Georgetown University, having been a visiting scholar at Yale University. She was a professor of English at Brandeis University and formerly of George Washington University. Her scholarly work has appeared in the Henry James Review, Ateneo Veneto, Emerson Society Quarterly, and Harvard Library Bulletin, among other journals, and focuses on nineteenth-century American authors and artists Henry James, Margaret Fuller, Ralph Waldo Emerson, and William Wetmore Story. She is completing an edited volume for the Cambridge Complete Fiction of Henry James as well as a biography of William Wetmore Story. Sandra K. Lucore (Ph.D. Bryn Mawr College) is an independent scholar in classical archaeology, currently directing projects at ancient Morgantina (Sicily). Trained also in art history, she has taught western art in Japan, developing an interest in comparative aesthetics. Japan’s wealth of museums and galleries provides rich terrain for understanding Japanese art and the aesthetics of display, and for understanding Japanese responses to western art as influenced by this aesthetic (including lighting). Melania G. Mazzucco (1966) is the author of many novels that have been translated into twenty-seven languages, among them Vita (2003, Strega Prize), Limbo (2012), and Sei come sei (2013). In addition to reportage, tales for young people, radio dramas and plays, she has published Il museo del mondo (2014), a journey into art in fifty-two paintings. She is a regular contributor to La Repubblica. Her novel La lunga attesa dell’angelo (2009, winner of the Bagutta Prize) is focused on Tintoretto as is her biography Jacomo Tintoretto & i suoi figli. Storia di una famiglia veneziana (2010, Comisso and Croce Prizes); she has also contributed to the catalogue and the exhibition Tintoretto (Scuderie del Quirinale di Roma, 2012). David E. Nye, professor, founded the first Danish Center for American Studies in 1992 at the University of Southern Denmark. He received the Leonardo da Vinci Medal in 2005, the highest honor of the Society for the History of Technology. His more than 200 publications include eight books with MIT Press, including Electrifying America (1990), American Technological Sublime (1996), and Technology Matters (2007). He is currently writing a book on the cultural history of nineteenth-century American illumination. He was knighted by the Queen of Denmark in 2014. Joshua Parker is an assistant professor of American studies at the University of Salzburg with research interests in place and space in American literature, transatlantic relations and narrative theory. His most recent work is Tales of Berlin in American Literature up to the 21st Century (2016), on American authors writing on Berlin. He has edited a volume on Austrian-American relations from 1865–1933, and he is working on a second volume covering 1933 to the present. Alberto Pasetti Bombardella graduated with honours at the Venice Istituto Universitario di Architettura in 1990, and in the following years he has worked on aspects of museography and exhibition lighting at the Los Angeles School of Architecture (SCIARC) and at the Getty Conservation Institute, with a CNR grant. From 1995 his professional activity has focused on lighting design with Studio Pasetti Lighting. He is consultant in technological innovation and the valorization of cultural heritage both in the private and public sectors. He has planned innovative projects for regional Superintendencies, Museums and Foundations, uniting research and experimentation, aiming at new forms of visual communication through light. He has published several specialized articles and works on the lighting of exhibitions. Sergio Perosa is Professor of English and American Literature, Emeritus, at Ca’ Foscari University, where he taught from 1958, and a regular contributor to Il Corriere della Sera. He co-edited a bilingual ‘Tutto Shakespeare’and has published studies, editions and/or translations of Shakespeare, Henry James, F. Scott Fitzgerald, Virginia Woolf, Herman Melville, Edgar Allen Poe, Emily Dickinson, William Dean Howells, John Berryman, Robert Penn Warren, and others. The latest are Art Making Life. Studies in Henry James (2015), Giulietta e Romeo, a new Italian rhymed version (2016), and Veneto, Stati Uniti e le rotte del mondo. Una memoria (2016). Sarah Quill has worked between Venice and London since the early 1970s, creating a photographic archive of Venetian architecture, environment and daily life. In 2004–2007 she worked as consultant on Lancaster University’s research project for the Ruskin Library’s electronic edition of John Ruskin’s Venetian Notebooks of 1849–50. A new and extended edition of her book Ruskin’s Venice: The Stones Revisited was published in 2015. She is a trustee of the Venice in Peril Fund. Holly Salmon is the head of Objects Conservation and Lighting Project Manager at the Isabella Stewart Gardner Museum. She received her M. S. from the Winterthur/University of Delaware Program in Art Conservation and a certificate of Advanced Training from Harvard’s Straus Center for Conservation. Holly was the Lighting Project Manager during the Gardner’s eight-year initiative to redesign lighting in the galleries. She has lectured and conducted workshops on Asian lacquer, laser cleaning and the Gardner Lighting Project. Emma Sdegno is Lecturer in Victorian Literature and Culture at Ca’ Foscari University Venice. She has written several essays on Ruskin, with a major focus on rhetoric and style, and in the context of translation and travel studies. Her publications include two volumes of essays on Ruskin, Venice and Nineteenth-Century Cultural Travel, edited with R. Dickinson and with K. Hanley (2010), and the translation of J. Ruskin, Guida ai principali dipinti nell’Accademia di Belle Arti di Venezia edited by P. Tucker (2014). Demetrio Sonaglioni graduated in Electronic Engineering at the University of Padua. After some experiences in scientific applied research in Milan and Rome, he worked at RAI-Radiotelevisione Italiana (Venice branch) where he directed the technical aspects of shooting and broadcasting. After he moved to the RAI General Direction in Rome, he renewed the national broadcasting organization: a complex task, with collaborators all over Italy. After leaving RAI, he taught Electronics and Telecommunications for ten years. Since 2008 he has been the Vicario (vice president) of the Scuola Grande di San Rocco in Venice, where he contributes to the organization of a place that is full of art and history but is at the same time a ‘business machine’ to be governed with entrepreneurial and innovative skills, ranging from conservation to organization of events, to looking after the people employed in the Scuola. Camillo Tonini graduated in Philosophy and has worked for many years as conservator of the historical and geographical collections of the Venice Museo Correr. In this capacity he has curated several exhibitions, including Dai dogi agli imperatori, Venezia Quarantotto, A volo d’uccello. Jacopo de’ Barbari e le rappresentazioni di città nell’Europa del Rinascimento, Navigare e descrivere, Venezia che spera, and he has published essays on Venetian subjects for exhibition catalogues and special editions such as La laguna di Venezia nella cartografia a stampa del Museo Correr, La chiesetta del doge a Palazzo Ducale di Venezia. He was also responsible for the Cataloguing Service of the Museums of Venice, including the civic collections and those of the Venice Ducal Palace. He is the editor of the Bollettino dei Musei Civici Veneziani. This book can be easily embedded on your own webpage for others to read. Click on ‘Read the PDF’ above, and then go to the symbol in the top right-hand corner that looks like three dots connected by two lines. This brings up some text: 'Embed a mini book reader' and if you copy the code there and paste it into the HTML of your own webpage, you’ll have the whole book embedded there, so people can access it directly on your website. 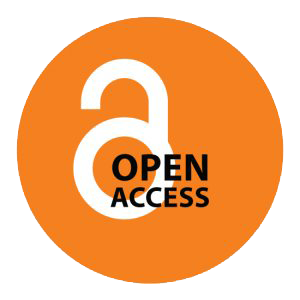 Open Access is about sharing and reuse as much as it is about free access to research, so please share this work as much as you wish.